This entry was posted in Bible, Bible translation, Christianity, Culture, Faith now, Heart language, Religion and tagged bible translation, Christmas, incarnation, incarnation as translation, incarnation is translation, translatable, translation, translation of the Bible. Bookmark the permalink. God bless your work, good sir! God’s blessings to you both from the hinter – winter lands of Canada. We’re doing very well. We’re out of home at Wilma’s sister’s place. her Hubby is on hospice care and not expected more than a couple of days before he sees the reality of his faith – Jesus. Not the babe of Bethlehem, but the King of Kings (although they’re obviously the same.) We’re grateful for his awareness and know tha God does not ever leave or forsake his own. He will be there each step of this final journey. It’s hard for the family, but it would be much harder without the hope and comfort of the Lord. 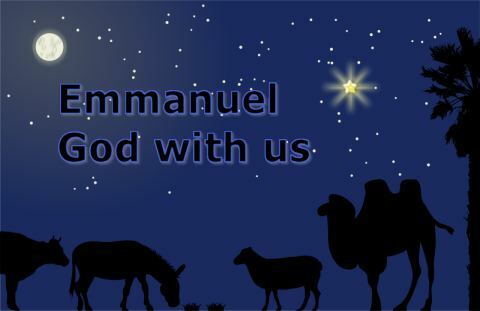 A blessed and Merry Christmas as you carry on your ministry and your lives. Thanks for your encouraging comments Ed. It is so amazing that God translated His love for us into a person. So we couldn’t possibly miss the message He was also writing for us. May His peace be yours and may your joy overflow this Christmas. Rejoicing in the life and word translation projects you are involved in!